This is an ALL GENRE event. We welcome any form of entertainment and especially encourage collaborations. If you know anyone who would be interested, please pass the word. 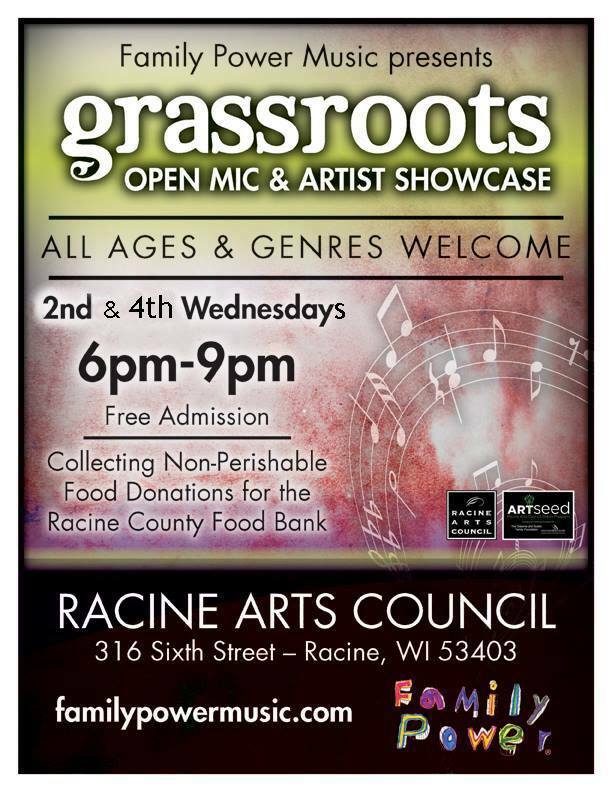 The Grassroots Wednesday’s Open Mic & Artist Showcase is supported in part by a grant from the Racine Arts Council’s ArtSeed Grants Program, funded by The Osborne and Scekic Family Foundation and the Wisconsin Arts Board with funds from the State of Wisconsin.